For those who have not experienced it, the pain and the suffering that victims of burn injuries go through is difficult to imagine. We also know that the medical and other costs of dealing with a burn injury can be astronomical. If you have suffered a burn injury, you may need extensive treatment, and you may sustain other damages, including lost wages and income resulting from being out of work. The attorneys at the Phoenix personal injury law firm of Black Wynn understand what you and your family members are going through. We will review your case, and talk to you about your options and your legal rights. If you have sustained a burn injury, call us for a free consultation. Why Hire a Lawyer for a Burn Injury? If you have been the victim of a burn accident, you may wonder why you need the help of an attorney. You might not think you have a case to pursue. Alternatively, you may believe that the insurance company will voluntarily step forward and provide you with adequate compensation. The fact is that insurance companies have only one goal, and that is to make sure they pay you nothing, or, at best, as little as possible. Their willingness to offer a fair settlement usually depends upon whether you are represented by a law firm with a reputation of fighting hard for the rights of its clients. And for those who think they have no case, and that a potential recovery is not worth pursuing, think again. Most people are unaware of their legal rights as accident victims. 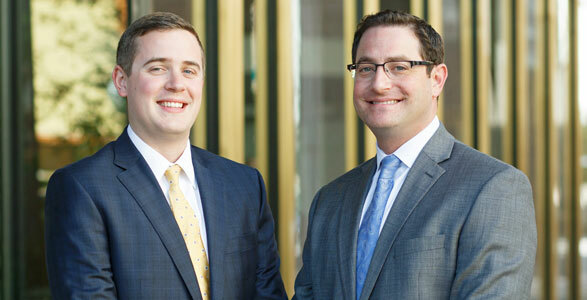 The attorneys at Black Wynn will explain how we intend to establish liability, and how much your case is worth. We are experienced at negotiating with insurance companies, filing personal injury lawsuits, and pursuing cases such as yours to a successful conclusion. With a free initial consultation, you have nothing to lose. Avoid the costly mistakes that many people make when they attempt to handle a personal injury claim on their own. Contact us and find out what we can do for you. What are Your Rights as a Burn Victim? Industrial accidents at the workplace occur on a regular basis. Some of those accidents result in burn injuries. They can be caused by chemical leaks, steam, scalding water, and fires, among other causes. And they can happen in a factory, at a construction site, in a restaurant, warehouse or at any other workplace. Any number of people or companies could be responsible for your injuries. Burns can be the result of an electrical shock. They can occur anywhere, including at home or at work. Some of the most common household accidents result in burn injuries. They include fires, which could be the fault of a landlord or property owner. The fault could also lie with a construction company, electrician or other worker. Car, bus and truck accidents not only cause broken bones, bruises and related injuries, but can also result in fires fueled by gasoline. Whatever situation led to the burn injury you received, an experienced Phoenix burn injury lawyer can examine the facts and determine whether the negligence or fault of another person or entity was legally responsible. When fault is established, you can recover compensation for your injuries, including past and future loss of earnings, past and future medical expenses, pain and suffering (including emotional distress), loss of enjoyment of life, as well as compensation for any scars and disfigurement resulting from the injuries. In addition to the significant pain of a burn injuries, burns often lead to other complications, including infections, chronic pain, lung damage, nerve damage, and other serious medical conditions. Those complications can increase the cost of future medical care. Because of these complications, your injuries could lead to the need for hospitalization, therapy, rehabilitation, plastic surgery, skin grafts, removal of dead skin, and in some cases, psychological counseling. Due to these types of problems, what may appear to be a fixed and limited amount of doctor and hospital bills could in fact be just the tip of the iceberg. Bills totaling a few thousand dollars could mushroom into tens of thousands of dollars of ongoing medical expenses. If you have suffered a burn injury, you may be entitled to compensation. Establishing liability and maximizing your recovery are essential to any successful personal injury case. And when burn injuries are involved, potential medical complications and additional medical and related costs make it essential that you are represented by an experienced burn injury attorney. At Black Wynn, we will make sure that you receive the maximum compensation to which you are legally entitled. We offer a free initial consultation, where we will explain the process, as well as how we will proceed in your case. Contact us today to learn how our firm can protect your rights.